It feels weird to be writing this in early September, knowing that it won’t be published for perhaps a few months! 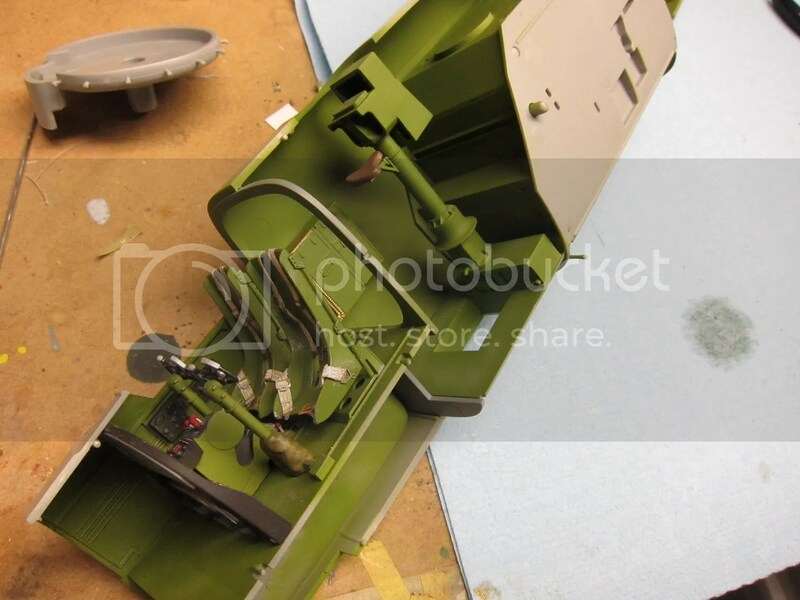 Back in May, I started in on HK Models’ absolutely massive 1/32 B-25J Mitchell. It’s hard to contemplate just how big this beast really is. Even the specs are misleading. A 24-inch wingspan just doesn’t sound all that impressive on paper. 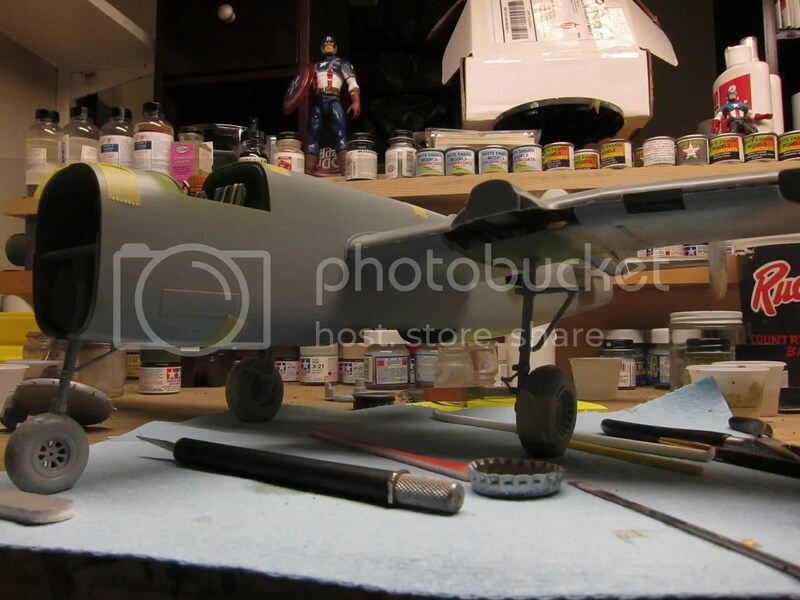 But when you consider that a big-in-its-own-right 1/32 P-47 has a wingspan of around 15 inches, well, perhaps that puts it into some perspective. Anyway, May turned out to be a really bad time to start on something so big. I was in the middle of some professional upheaval with a new job opportunity that required that I give away about a week of my life to prepare a final presentation. Somewhere along the way, my hot start on the big Mitchell turned into a slog, and I finally had to set it aside. Around the same time, I was contacted about building a B-25 on commission. The individual who reached out to me had a grandfather who served on “Bottoms Up II” with the 340th Bomb Group out of Corsica, and wanted me to build the plane as a gift for his father. While we originally talked about a big HK, the idea of tackling a second daunted me, and so we settled on a more manageable 1/48 Revell-Monogram B-25. I ordered everything I needed and got started. Then, somewhere along the way – I think it was while I was swearing at the atrocious nose fit – I had a thought. Drop the Revellogram and build the big HK instead. 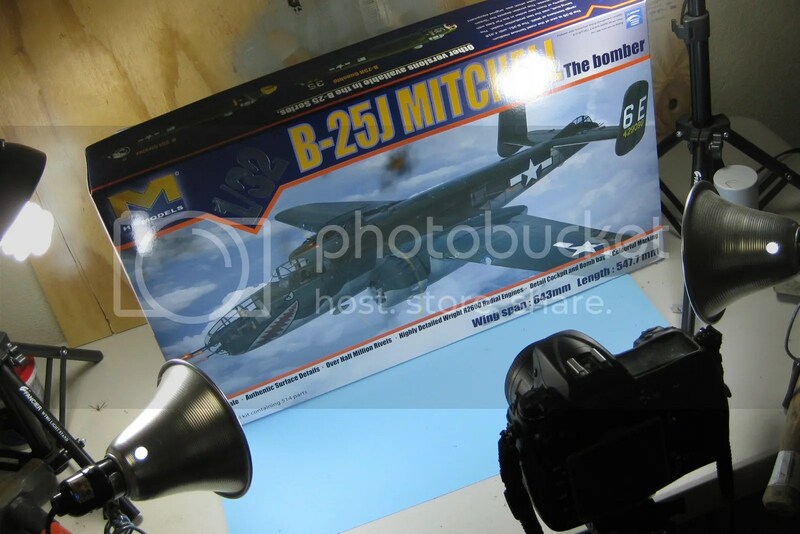 And keep it secret, so as to surprise him when he opened the box to find a massive B-25 within. Thus begins the journey of this big B-25 that will be done up in the markings of “Bottoms Up II”. Before diving in to the build logs, here’s a quick recap of where the thing was when I put it down. 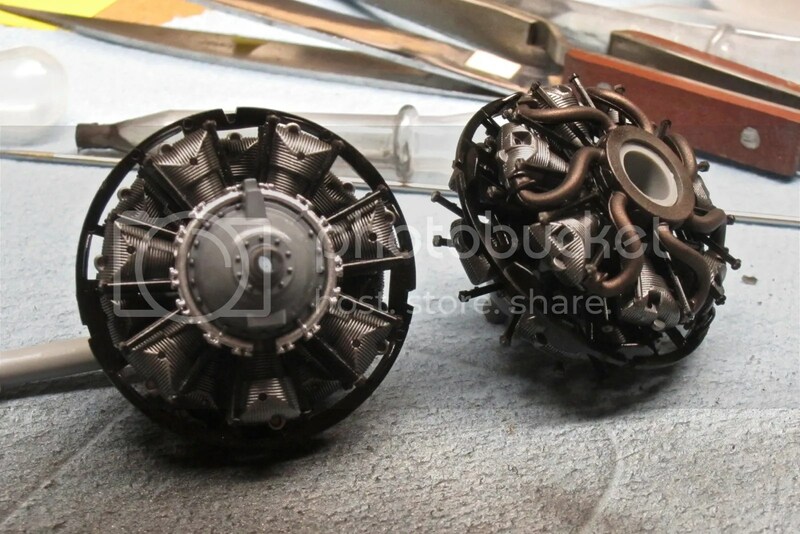 And the thing had found its way onto its wheels at least once, just to prove that the Profimodeller nose weight was up to snuff and that the gear could take the weight. They could, but the nose strut was shakier that Michael J. Fox, so I picked up a set of very nice G-Factor struts instead. And that’s where it left off. Check out the build logs to see it go from here.